Brian became involved with Cultivate in February 2016 after being recommended by a local church to connect with Cultivate leaders at Oakland. This was one of his first times coming back to a church since he began college in 2014, and he didn’t exactly know what to expect from a meeting with ministry leaders, especially at Oakland, where he was extremely well-known and involved. Brian had grown up as a Christian, going to church with his mom nearby his home in westside Detroit. However, as a high school student, he began to drift away from his faith. Shortly after graduating high school as valedictorian and starting school at Oakland, he began to spend more and more of his time partying and socializing. While he gained in popularity in the residence community at Oakland, he was sliding away from the foundation of Jesus in his life. In the summer of 2015, he was selected to be a resident assistant in the dorms, earning free room and board to go along with free tuition; however, shortly into the fall semester, his life began to unravel. He was caught with alcohol as a minor, and proceeded to lose his job as an RA, being placed on probation by one of the most difficult judges in the metro area. It was during this time he began to reconsider his faith, and start going back to church, which led to his connection to Cultivate. Brian connected with the leader who he met, and they began to meet regularly to help with his spiritual growth. That mentoring relationship helped Brian as he continued to navigate these difficult situations without the help of local family, which included continued legal hurdles, a car accident, and a financial aid issue that cost Brian a semester and set him back several thousand dollars. Through it all, Brian wanted to grow as a kingdom worker. He began to invite fraternity and sorority friends to the young adult group he joined at Kensington. He formed Facebook communities to help his friends stay in the know of faith-based opportunities. He joined and helped to promote YoungLife, a campus ministry, as well as help Cultivate leaders connect with new students for mentoring. Brian actively used his connectedness and social dexterity to help people find their place in local churches and campus ministry groups, in order that they may know more about the love of Jesus. 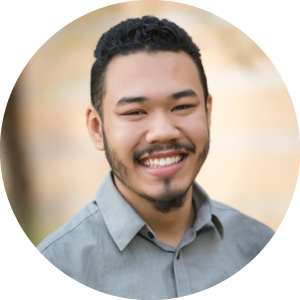 This semester, Brian has doubled as the special events coordinator for International Oasis, helping to plan and host events for 150-300 international students six different times already, and a small group leader for Kensington Church’s young adult ministry 1829. He has an incredible ability to remember names and form friendships, as well as the courage to suggest people to consider faith in Christ who may be uncomfortable with the idea. Between International Oasis, 1829, and his connections at Oakland, it’s safe to say that Brian is actively engaging with 200-300 students as he encourages them to pursue their faith more and more. When Brian was struggling with his financial aid and tuition issues, the Cultivate Servant Leader Development Fund was able to pay his tuition to help him get back into school at Oakland, where he is a key influencer of students. Through mentoring, coaching, and resourcing, Cultivate has helped Brian to be effective as a kingdom worker at Oakland, simultaneously working to solidify his faith and maximize his talents so that God’s Kingdom could grow through him.